The Inferno is a whole new PvE system that lets groups of 2 to 3 players tackle Erebus together. It unlocks at level 46 and provides vast quantities of Element Dust, Soul Stones and Gold. The rewards for clearing beasts and the final boss are based on speed. Better loot is awarded for faster completion. Different difficulties of the Inferno unlock according to the player’s level. The Inferno contains 200 tiles. Players are allowed to stand on the same tile. If there is an event on it, the first player that reaches the tile will trigger it. Your goal in the Inferno is to defeat the boss on the lower right corner of the map as fast as possible. In order to remove the obstacles around the Boss, the player has to both defeat all of the beasts and activate all of the artifacts that are randomly placed on the tiles. When a player encounters and defeats a beast, its position is replaced by the player. Otherwise, the player remains on the current tile. Beast HP does not reset after combat and can be attacked again by any other player. Players in the group can make their moves simultaneously. Every player has an independent CD time. Each movement, attack, and activation will increase the CD time only for the player carrying out the action. The buffs in the Inferno gained by players will have to be activated by players manually. 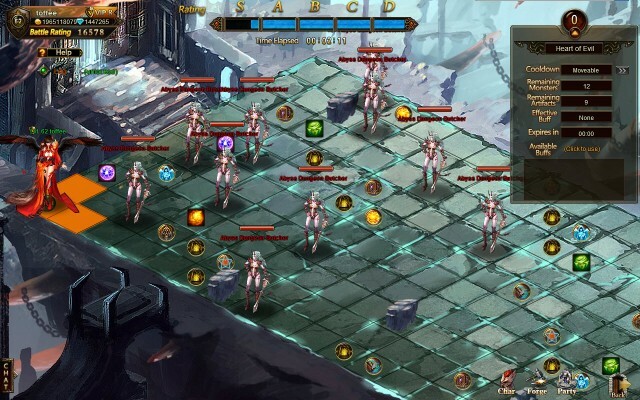 Each buff has its own remaining time and can only affect the player who has activated it. If a player activates another buff before the previous one ends, the latter one will replace the previous one immediately. Different buffs have different effects; use them wisely to increase efficiency. The rewards depend on your grade; higher grades are rewarded for faster runs. 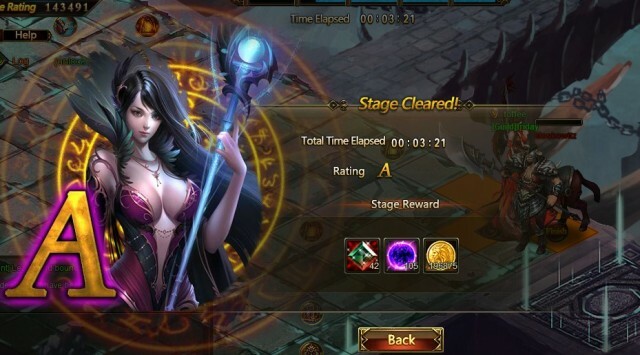 If the remaining time reaches 0 and the Boss has not yet been slain, players will still receive a reward; it will be based on the lowest grade, D.